Last month I attended my first Romance Writer’s of America National Conference in Orlando, Florida. 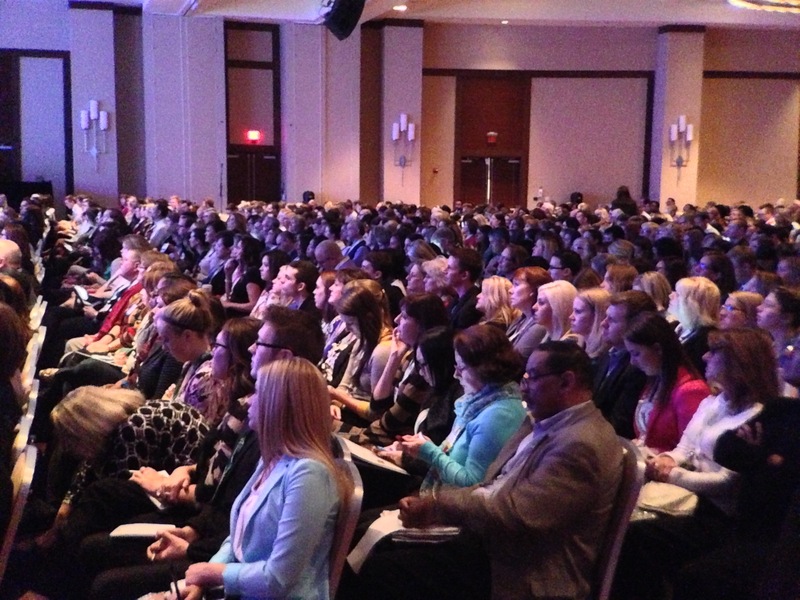 I’ve attended several regional events in New England and New Jersey, but this was my first National Conference. It was a wonderful experience and I’m glad I went in spite of the sweltering temperatures and humidity. This Yankee doesn’t do heat. 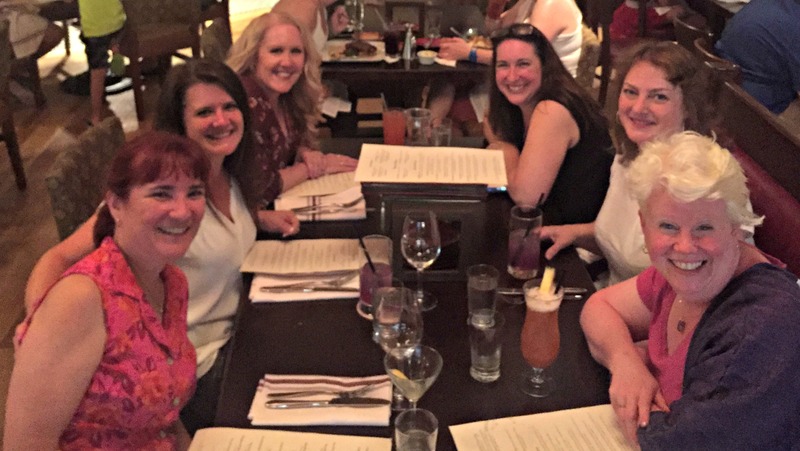 RWA conferences are truly professional development conferences for romance writers. Nationals is so on an exponentially larger scale. Regional conferences might see representation from a few publishers. Nationals is a must-do for anyone who publishes romance. Several publishers host signings because above all, romance writers are romance readers. The bigger players are featured in spotlight information sessions and several even host open houses. Dinner with some of my NHRWA Chaptermates! 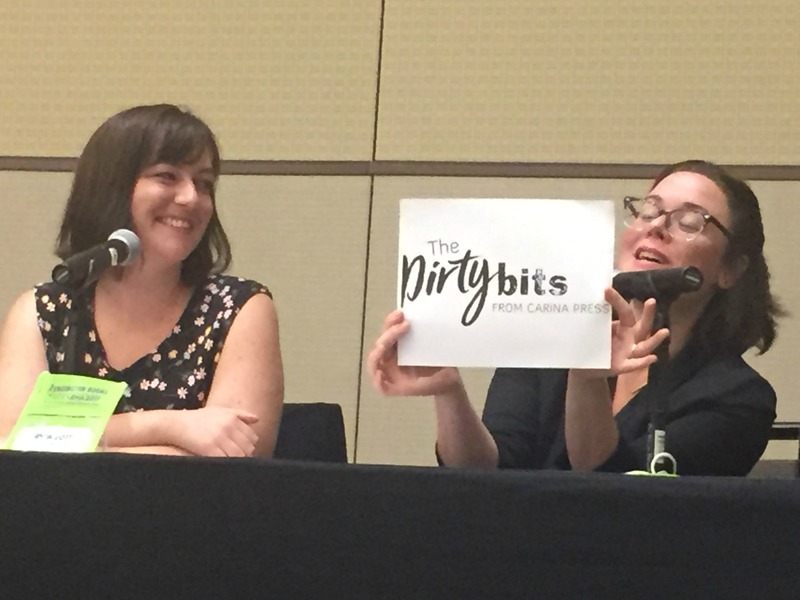 In conjunction with the conference Carina Press hosted a contest to win a critique of the first two chapters of your WIP. If picked, you had an opportunity to have your work critiqued by a Carina editor and the other participants in your session. I’ve had my work critiqued before, but mostly personal essays. People could pick apart my grammar and sometimes the angle I chose to present the story, but those works were based on my experiences. Some find that a vulnerable place to be, but for me, it’s my life, it’s what I experienced and my thoughts. You don’t have to like them, but it’s my truth. My fiction is different. These are stories I’ve made up. Sure I’m influenced by my experiences, but there is so much more too it. I’m perpetually waiting for someone to pop up and say “You’re doing it wrong!”. It was time to put up or shut up. I polished my words (with the help of an editor friend) and sent it off. It was a random drawing and according to the staff at Carina, they got a great response. I was stunned when my story was picked. I posted to my RWA chapter Facebook group that I was equal parts excited and nauseous. I was relieved to hear that’s normal. Each session was an hour and was supposed to have 4 authors in it. Due to scheduling conflicts, our session only had three participants. As part of the process, I had to critique the work of the other authors in my session. I was nervous reading the others work What if it’s better than mine? Like WAY better. In some ways their work was better than mine, but all in all, I felt like my words held their own. The day of the critique, the excitement and nausea was present full force. I lectured myself in advance to be quiet and take notes. So much so that at one point they wanted an explanation for something, and I was so intent on listening and taking notes about what they said, I had to be prompted to give the information! The whole experience was very positive. The other authors offered great insight and it was good for me to hear where they were taken out of the story. Kerri Buckley from Carina was very encouraging and basically told me to finish the damn book! I walked out of there smiling so hard my cheeks hurt. That’s not to say I agreed 100% with everything they said. Some things they needed more information to understand but I could also see how I could either trim or foreshadow more for clarity. I am really excited to get back to work on it. In an odd way, I now feel like I have justification. Which is dumb. Because “I want to write” should be enough, but alas, that’s not how my brain works. I can make time to exercise because that’s good for my health and things fall apart when I’m sick. My writing is harder for me to make time for. Now I feel like I have validation and justification. I’m writing something people want to read. Have you ever had a piece critiqued? What was your experience? Lee Laughlin is a writer, marketer, social media consumer and producer, wife, and mom, frequently all of those things at once. She blogs at Livefearlesslee.com. She writes for the Concord Monitor and her words have also appeared in a broad range of publications from community newspapers to the Boston Globe. She is currently working on the second draft of her first novel, a work of contemporary, romantic fiction. Reading is something I’ve always done. When I was a kid, my mom would take away TV as a punishment and once I got over the initial sting of being in trouble, I’d go find a book and that was that. As an adult, I’ve often said, I could live without a TV, but you’ll pry my kindle out of my cold dead hands. I wish I could remember the first time I heard “To be a good writer, you must be a good reader.” I even Googled the phrase to see if I could find someone other than one of my teachers to attribute it to. I can find many an essay or blog post touting that as truth, but I can’t find a source. Romance is my genre of choice, but I find my writing is enriched by everything I read, so I work to expand my horizons. That said, I’m an emotional person, and I can be deeply impacted by what I read. I read some mystery, but suspense stresses me out and I need to read thru to find out what happened. Sometimes, my schedule doesn’t allow for a marathon reading session. Horror is a no go for me. The boogeymen take up residence in my brain and I can’t sleep. I enjoy memoir, biography and autobiography. I love in depth news articles about places and experiences different from mine. My TBR (to be read) pile of Romance books is extensive, but I’m on a bit of a non-fiction kick at the moment. I read Born to Run by Christopher McDougal with plans to go back to fiction, but After I read Deborah’s review of Word by Word by Kory Stamper, I made that my next read. I’m really enjoying it I didn’t expect to laugh so hard at a book about dictionaries. Both books introduced me to new information about the world I live in. I find that reading across genres strengthens my writing. Bits and pieces of what I’ve read get manipulated, massaged and woven into fictional tales. Now to be clear, I’m not suggesting I read someone’s biography and use their experiences verbatim to create a character. That’s NOT cool. It’s like cooking, take a physical trait from one story and combine it with a personality trait from someone I’ve encountered and expose it to a life changing event from a from my imagination. Boom! I have a rich, three-dimensional character that people want to read about. Reading about different geographies introduces me to different locals and potentially different motivations for characters and events. This is another area where it is important to do my research to make sure I really understand how things work. We don’t have typhoons in the Eastern U.S., but hurricane season is real. And, the way we prepare in the Northeast is likely a little different from a Floridian’s preparation. The devil is in the details. These days, the news is sometimes stranger than the imagination, and plot twists and character flaws are the low hanging fruit. Talk about stressful reading! I do think reading makes me a better writer. How about you, can you read while you have a writing project active? What is your preferred reading genre? What genre stretches you? Loot Crate, Bark Box, Snack Fever, whatever your interest, I’m pretty sure there is a swag box out there for you. What’s a swag box you ask? A swag box is a monthly subscription service that delivers a box full of goodies catering to a specific area of interest and often organized around a theme. Book related swag boxes cater to readers of mystery, YA, Inspirational, Jane Auston, Sci-fi and Romance, among other genres. Recently, I caught up with Jeannie Lin, Ever After Box creator. The Ever After Box is a monthly subscription service, curated by romance writers for romance readers. Jeannie and her partners Shwantelle Madison and Amanda Berry, are multi-published in the romance genre. In 2015, the three women were discussing the rise in popularity of subscription boxes. It seemed there was a subscription for every interest, so they decided to investigate starting one for romance readers. They ran focus groups at the Romance Writer’s of America’s National Conference where they talked with readers and authors and found there was definitely interest and more importantly, enthusiasm for the idea. The Romance Community is very tightly knit and the three knew with their reader base and industry connections they could make it work. It took six months to set up the company, they shipped their first box in January of 2016. Lin is up front about the fact that this is definitely a collaborative effort. First the team develops a theme for a box. Theme ideas come from a variety of sources (readers, authors and sometimes even publishers and publicity people). To be clear, not every theme that is pitched becomes a box. “Once an idea is pitched or an author expresses interest, there is a lot of back and forth to refine things.” The team’s focus is on creating the best experience for the reader. Content for the boxes is acquired in a myriad of ways. Sometimes publishers provide the books. Sometimes authors contribute back list books, free download cards or swag items. The Ever After Box team takes the job of curating the content very seriously., but there is also a delicate balance to keep shipping costs down. Examples of Ever After Boxes, The Regnecy Ball, The Birthday Box and, the Badass & Beautiful Box. Images Courtesy of The Ever After Box. Swag boxes are another tool in your marketing arsenal. It’s like a giveaway, but a giveaway, to a highly targeted audience. In this case, women, aged 21 to 50+ with disposable income who already read romance (many across sub-genres), and are on the lookout for new-to-them authors or books. You may even be able to track your return on investment if you provide items that allow for that (such as downloads with a specific URL). According to Lin, authors who use downloads have seen a download rate higher than than those of random giveaways because people have paid for the product and are invested. The Ever After Box is only in it’s second year of operation, so their focus has been spreading the word to authors and industry people alike. Subscription numbers fluctuate depending on the season, summer months have shown about 150 subscribers and a peak with numbers of just under 200 hundred around the Big 3 holidays (Christmas, Valentines and Mother’s Day). The Ever After Box team works with interested authors to help them create something special for readers without breaking the bank for authors. They have lots of tips and tricks on how to stretch your promotional dollars. The team is currently working on a box for writers for NaNoWriMo. If you are interested in participating in an EverAfter box or subscribing, everything you need to know can be found on their website If interested in subscribing visit. http://www.everafterbox.com/. How do you think a swag box fits into your marketing plan? I’ve mentioned I’m part of an awesome paper planning group on Facebook. 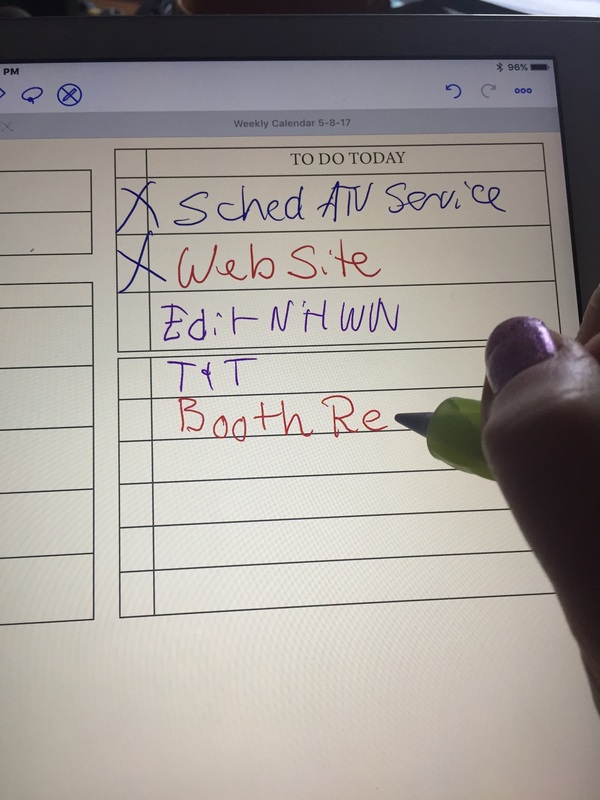 Recently someone sheepishly posted that she’d created a digital layout and was using the iPad an Apple pencil to complete it weekly. In the immortal words of Gru from Despicable Me “LIGHT BULB”. Creating the layout digitally allows me to design layouts that meet my needs. Using the Apple Pencil to fill in the layouts by hand on a weekly basis creates connections in my brain that fuel my productivity and personal growth. I experimented, creating layouts using InDesign and Excel. I like InDesign better, but if you are considering creating your own layouts, don’t wait for the perfect software, seize the moment and make it happen! You can use whatever program you are most familiar with (any word processing or graphic design program would work). The nice thing about creating your own planner layout is if you decide something doesn’t work, you aren’t stuck with it. Plus, if you really want to stay analog, you can print your templates out. Open them on the iPad (I email them to myself and open them using and annotation program such as Goodnotes, Explain Everything or Notability). It’s worth noting that an Apple Pencil is not required, many of the programs listed above will let you add text boxes and enter information via a keyboard. I just need the hand to brain connection. I have developed a routine where Sunday morning or first thing Monday at the absolute latest, I sit down and plan my week. I copy what’s on my work and home Google calendars and create a to do list for the week drawing from my task managers. I only plan one day ahead. At the end of each day, I’ll make the plan for the next. Using both a weekly and a daily layout means copying things twice, but it gives me a big picture view of my week and allows me to focus in on specific tasks on any given day. I’ve been at it about six weeks now and I’ve made tweaks along the way but I’m really happy with the results. Not only am I noting (and completing tasks), I’m tracking personal development too. I’m keeping a food journal and also tracking pain management and treatment for a foot injury as well as my modified exercise regiment. At the end of the day it’s so nice to see progress! Even if I’ve only checked off 3 things. If they are the three things I set out to do, I’m ecstatic. So that’s my latest installment in my search for planner peace. I’m not sure I’ll EVER be 100% satisfied, but this is working better than most of my last iterations. Have you tried making your own time management templates? This weekend I’m excited to attend Let Your Imagination Take Flight, the annual conference organized by the New England Chapter of Romance Writers of America. Writing conferences are amazing opportunities for writers in all stages of their careers. They give you an opportunity to improve your craft, commiserate with fellow authors, network with agents, editors and, sometimes even readers. You can attend conferences for specific genres or conferences designed for the broader writing audience. Here, I’ve compiled some tips for making the most of your conference experience. Please add your suggestions in the comments. Make a commitment and respect it. Learning is a lifelong experience and your writing is an important part of your life. Invest the time to grow your skillset and you will reap the rewards. Block off the time for the conference and guard it. Make sure external needs are attended to in advance. Kids, spouses, aging parents, the day job, we all have full lives. Honor your commitment to your writing by making arrangements in advance and making sure everyone knows to contact you only in case of a dire emergency. This will free you up to focus on the conference and maximize your investment. Before you register, create some goals for the event. Are you attending to improve a specific aspect of your writing craft? Do you want to network with other authors who have traveled the self-publishing route? Are you there to pitch your work? You can’t do it all, and if you try, you’ll just exhaust yourself, so pick a few key sessions to attend or people to meet and allow yourself some flexibility. Spend some time on the conference website prior to the event. Download the schedule if it’s available, these days larger conferences often offer mobile apps. Review the sessions being offered and familiarize yourself with the layout of the meeting space. Prioritize the sessions you want to attend based on the goals you set. Don’t forget to give yourself some downtime. Maybe skip a session and review your notes from earlier sessions while the information is still fresh in your mind. If all you do is go, go, go, you don’t give your brain time to absorb the information you’ve learned. If conference sessions are being recorded, consider purchasing a set, this way you don’t have to obsess about taking notes or worry when two sessions that you REALLY want to see are scheduled opposite each other. Make note of speakers, editors, and agents whom you might want to meet. Review their social media footprint, and maybe even reach out and say something like “I see you are attending #NECRWA. I’m looking forward to your presentation.” Talk about your attendance on social media, you never know who might be looking for you! 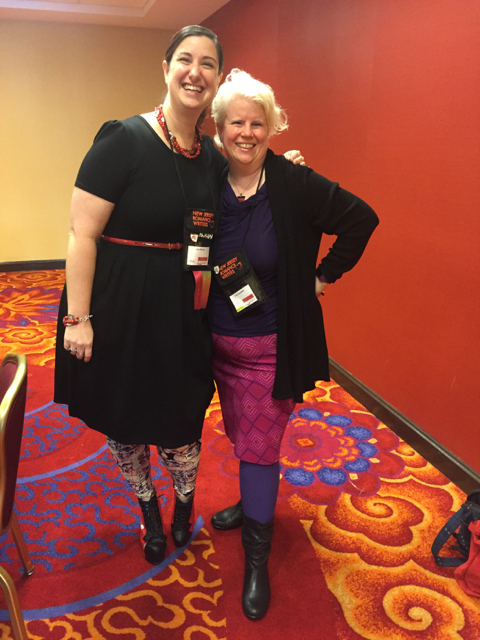 I met the fabulous Jeni Burns while volunteering at the NJRWA conference last fall. Is there an opportunity to volunteer? Sign up! This is a great way to meet new people and forge connections. Last year I volunteered to help writers who were pitching to agents. I pointed people in the correct direction and tried to calm nerves, it was a great experience, I met some lovely people and I gained insight into how the pitching process can work. A win/win. Are you a first-time attendee? Does the conference offer a session just for newbies? Attend it! It’s a great way to connect with other first timers and you’ll learn valuable tips specific to the event. You’ll meet some or all the conference leadership team, and learn who to speak with if you have questions. Check the conference materials to learn if there is there a suggested dress code. My number one piece of advice is wear clothes that make you feel like you are putting your best self out there. You should be confident and comfortable. Do dress in layers as conference spaces are notoriously unpredictable temperature wise. Make your tech decisions in advance. How will you be taking notes? Will you scribe the good old fashioned way with pen & paper or will you be using your laptop or tablet? If you are going the technology route make sure you have enough battery power to last the day. It’s becoming more common for power to be available at conferences, but it’s by no means ubiquitous. Want to be a hero? Bring a power strip, so if you find a plug, you can share it with others. To me, one of the greatest parts of a conference is meeting people. People you can help, people who can help you. People whose experiences good or bad, inform your journey. Not everyone is an extrovert, if you are worried about being left behind, scour social media for friends or colleagues who are attending and arrange a time to meet for breakfast, a drink or even attend a session together. If you are attending to pitch your book having an “elevator speech”, a 15-30 second speech about who you are and what you write, is a must, but even if you aren’t pitching having a one liner is useful even as conversation starter. Also, it never hurts to have a few questions in the back of your mind for when you meet new people. Have you read anything recently that you really loved? What has been your favorite session so far? A layer such as a light sweater or jacket, I have a light weight oversized scarf that travels to conferences with me. Arrive a little before sessions begin so you can register and get the lay of the land. Where are the meeting rooms? Where are the bathrooms? Where is the bar? J As previously mentioned, don’t forget to take some downtime. Take a walk outside, go back to your room for a few minutes or find a quiet bench to process what you’ve learned. Look over any business cards you collected and make notes about how/why you connected with that person. Complete any follow up tasks. Did you promise to forward an email or send an editor a copy of your book? DO IT! DO IT NOW! Follow people on social media. If you have positive things to say shout those out on social media, but please save any complaints for a private email or the conference survey. Fill out the survey. Conference planners genuinely want your feedback if you are sent a survey please take a few minutes to complete it. If your experience was less than expected, it’s always good to share your thoughts with organizers, but please keep feedback constructive and if you have specific ideas for improvement share them. Remember, it’s not uncommon for conferences to be run by volunteers. Be gentle. Making the most of a writers conference takes a little planning and effort, but the rewards are worth it! What is your best conference tip? Lee Laughlin is a writer, marketer, social media consumer and producer, wife, and mom, frequently all of those things at once. She blogs at Livefearlesslee.com. She writes for the Concord Monitor and her words have also appeared in a broad range of publications from community newspapers to the Boston Globe. She is currently working on her first novel, a work of contemporary, romantic fiction. 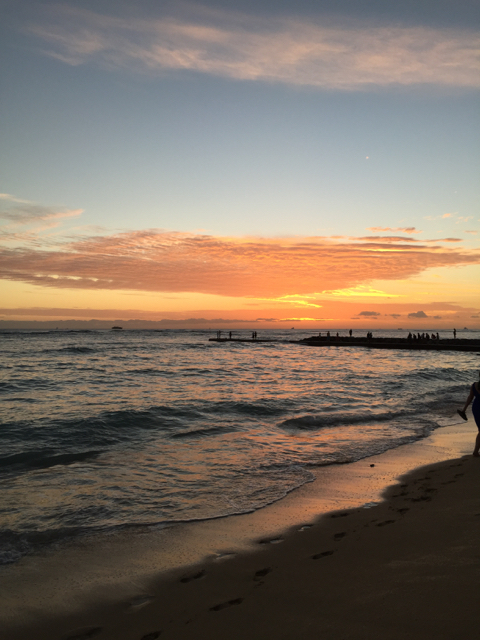 I took this in Hawaii two years ago. I keep it handy because it reminds me to breathe deep. I don’t like to whine, but I do like to keep it real. I am having a creative crisis. As I’ve mentioned before, like most of us, I do not write full time. I am a caregiver, and I work in marketing and communications for a boutique technology firm, that specializes in digital signage for airports. And, I write personal essays and fiction. I finished the first draft of my novel a little over a year ago. YAY! I knew when I finished it that there were more holes than a fishing net, but I was okay with that. I gave myself another year to finish the second and third drafts. I had goals, a schedule and deadlines. Then 2016 happened and the universe laughed as my deadlines whizzed by unmet. Come the turn of the new year when I sat down to map out my goals for 2017, I had the same goals I’d had for 2016. I felt defeated and overwhelmed. Yes, I want to write, but CLEARLY I am not making it a priority. The self doubt crept in and I’m a planner, so of course I forecast disaster. I mean publishing is soooo hard to break into. Plus I keep reading all of these writer enrichment materials that talk about building your platform even before your published and I talk to friends who ARE published (even NYT best sellers) and it’s always something. Do I really want to expose myself to that level of stress? As it happened the day after my meltdown I was already scheduled for an overnight away. Originally it was to write, but then I was just going to snooze and catch up with some friends because, you know, I was going to set my writing aside for a while. When I got to the hotel, the pen and the paper mocked me. It was still there staring me down. I meditated (can’t sit still longer than 10 minutes, but I’m getting better. More on that in another blog post). Finally, in a calmer relaxed state, I gave in, I picked up the pen and I opened the journal. I emptied my head on the page. It was drivel, but it felt so good to get it out. I did not solve the world’s problems. I didn’t erase my deadlines, I didn’t even solve any plot problems. I did remember that I truly love to write and I gave myself another chance. I looked back on all the work I HAD done to strengthen my story and I forgave myself for missing my deadlines. It’s just going to take me longer than I expected to tell it. I’ll worry about the problems that come with working in publishing when the book is on track to be published. I’ve added a little more to the book since I got back, but I’m in the midst of my busy season at work and we have a family vacation scheduled at the end of the month. Oh, and there’s that little issue of our world going to hell in a hand basket. All those negative aside, I registered for the Romance Writer’s of America National conference today. That is my carrot. My reminder that yes, I am a writer and I do have a story to tell and dammit I’d better make some time to tell it. Have you ever quit writing? What got you back into it? So, to beat a dead horse, I’m a planner. I maintain both digital and paper planners. Digital is great on the go, but there is just something about pen to paper that makes things connect in my head. I’ve also discovered the value of specific planners for specific aspects of my life. For example, I have one notebook dedicated to weekends. I have found this helps me eliminate the noise from work tasks and focus on home and family life. 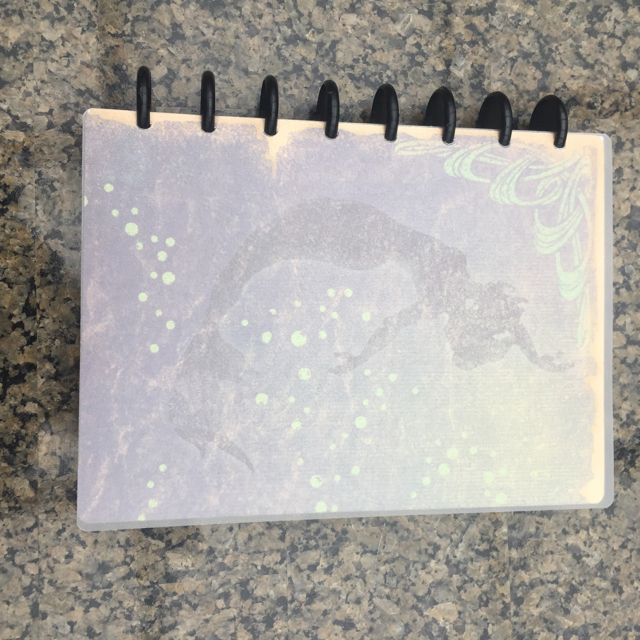 Recently I found 3 different planners designed specifically for writers and our writing projects. I like sitting down and capturing all the tasks related to a particular project, but I also find I’m easily overwhelmed. Pulling tasks from a planner dedicated to writing is much cleaner that keeping them all in one place. This way, I look at the writing planner, grab the tasks I need for that week and, gently close the cover and keep my focus on what really needs to be done. Bria Quinlan knows writers and the writing process. She should, she is a USA Today Best-Selling author who writes romantic comedies. It wasn’t always that way at one time, she toiled in corporate America as an HR director. 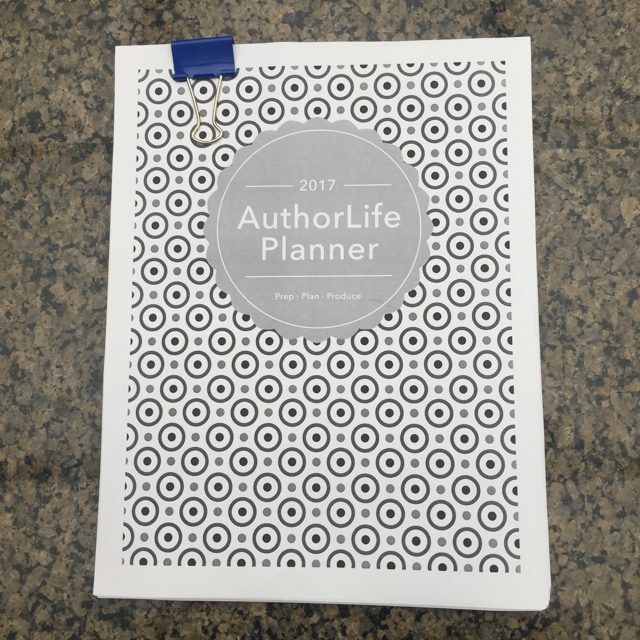 She’s combined her skills to create The AuthorLife Planner. A two part program designed to help writers identify their goals and devise a plan to achieve them. Part one is a 40 page workbook based on Quinlan’s Zero to Planned workshops. I printed this part, because you know, the whole brain connections via pen to paper thing. Through a series of detailed exercises, Quinlan walks you through identifying what you want to do, what you are currently doing, who you are doing it for (in other words who are your core readers) and whether you are on the right path. Once you’ve figured out these key aspects, she helps you identify where you should spend your time to get the results you desire. 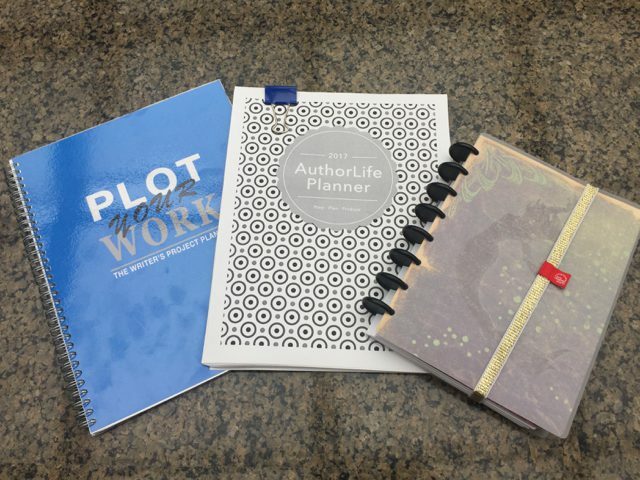 Once you’ve figured out where to spend your time, the AuthorLife Planner helps you map the tasks out weekly in the 160 page calendar and regularly evaluate your progress. Not gonna lie, the process is a smidge daunting, but in the exciting “oh the potential” kind of way. As someone who wears many hats, I’m hoping it will help me focus and hone in on what I need to do to accomplish the goals I’ve set. New York Times and USA Today Best-Selling Author C.J. 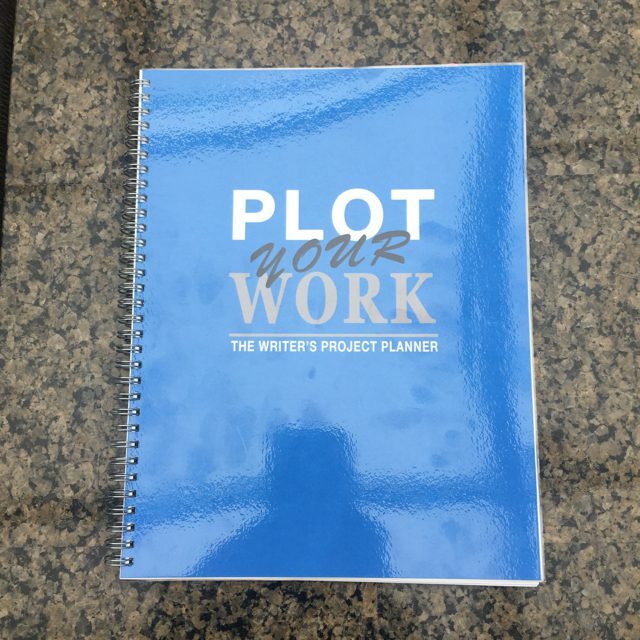 Ellison combined her background in sales and marketing with her writing experience to develop Plot Your Work – The Writer’s Project Planner. You already have a plan hell, you have SEVERAL plans, but you need a way to stay on track with multiple projects, then Plot Your Work is for you. weekly reviews to keep you organized. I bought a the beta version that quickly sold out. The full version is scheduled to be available this month with shipment in January. Customizations are in the works to track marketing efforts, launches, sales etc. While there are similarities between this at the Author Life Planner, this one is particularly useful to the writer who is juggling multiple projects and doesn’t want anything to slip through the cracks. Disk bound system $26.99* plus shipping. *The system is customizable so additional modules available for extra cost. 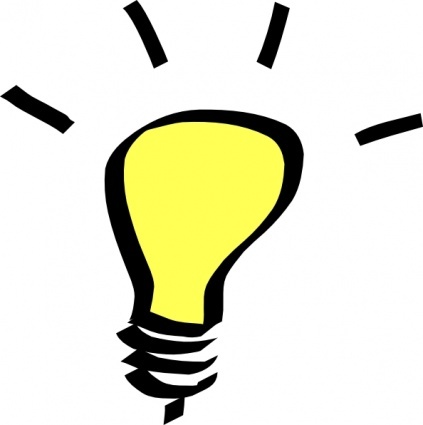 Are you a pantser who needs to capture ideas as they present themselves? Or, are you a planner who needs to work out all the details before you sit down at the keyboard? Either way, the WriteMind Planner is for you. 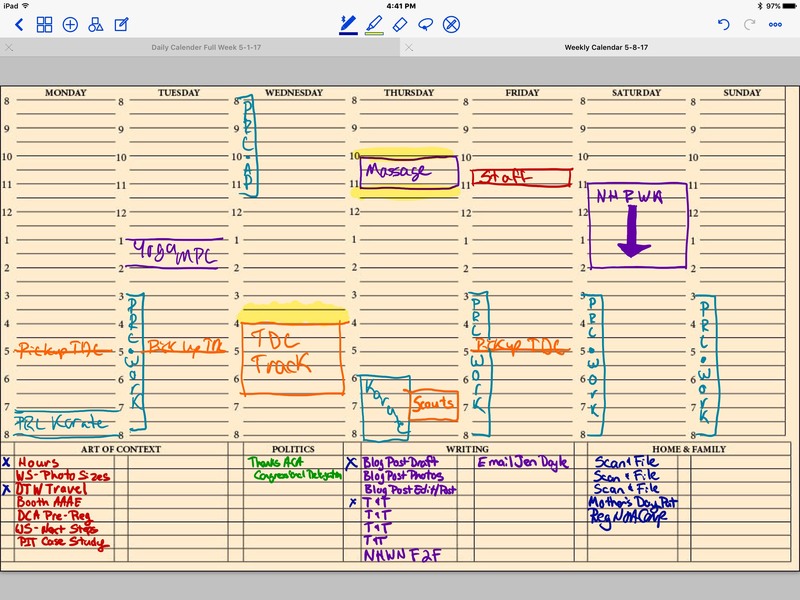 The WriteMind Planner touts itself as “An all-in-one, customizable idea management and project organizing system for authors.” You can either download the modules or buy a printed disc-bound version. I went for the disc-bound version. The disc system lets you organize things the way you like. It’s also expandable and or collapsible if you want to keep things simple. There is a place for comments or special requests on the order form. For example, I don’t like college ruled paper, so I asked that my note pages be wide ruled or plain white. They were very responsive. 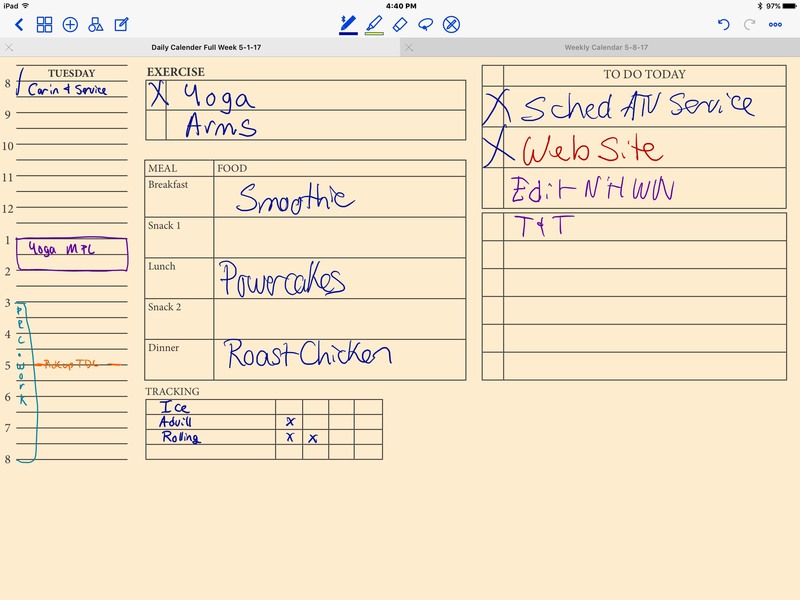 You can customize your planner by adding different modules. I added 2 folder pockets. I’ve been using this to capture OOOH SHINY, the random ideas that intrude when I should be focusing on my WIP. Any of these planners would make great gifts for the writers in your life. Maybe even a gift to yourself to help you get on track and stay on task in 2017! Have you tried any of these systems? Do you have a different way of managing your writing projects? Share in the comments. The opinions expresses are my own and may not represent those of my fellow NHWN bloggers. I was not given any compensation nor are the links an affiliate links. Lee Laughlin is a writer, marketer, social media consumer and producer, wife, and mom, frequently all of those things at once. She blogs at Livefearlesslee.com. She writes for the Concord Monitor and her words have also appeared in a broad range of publications from community newspapers to the Boston Globe. She is currently typing her first novel, a work of contemporary, romantic fiction.